What Is the Mandatory Time a Preschooler Should Sit and Learn? Preschoolers with special needs require curriculums with a special focus on adaptive behaviors and skills. In the early stages of child development, children with intellectual and developmental disabilities often receive specially designed instruction that places an emphasis on the transference of adaptive behaviors and skills. Goals and objectives from key adaptive skills categories are usually set by educators to address a special needs preschooler's known strengths and weaknesses as part of an individualized education plan designed to improve the child's chances for academic and personal success. Special needs preschoolers sometimes need extra instruction and assistance when learning self care skills, such as grooming and dressing. Preschoolers with developmental challenges are sometimes delayed in their acquisition of age-appropriate skills that allow them to care for themselves. Dependent on the individual preschooler's ability, standards can be set to allow the child to perform grooming, dressing or toileting or self feeding tasks with or without assistance. The individual skills for dressing activities can also be broken down into several smaller goals, such as fastening individual zippers or buttons when dressing or mastering one step in the toileting process at a time. 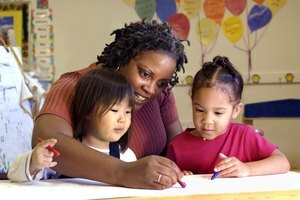 Learning to interact with other preschoolers can present special challenges for the special needs child. 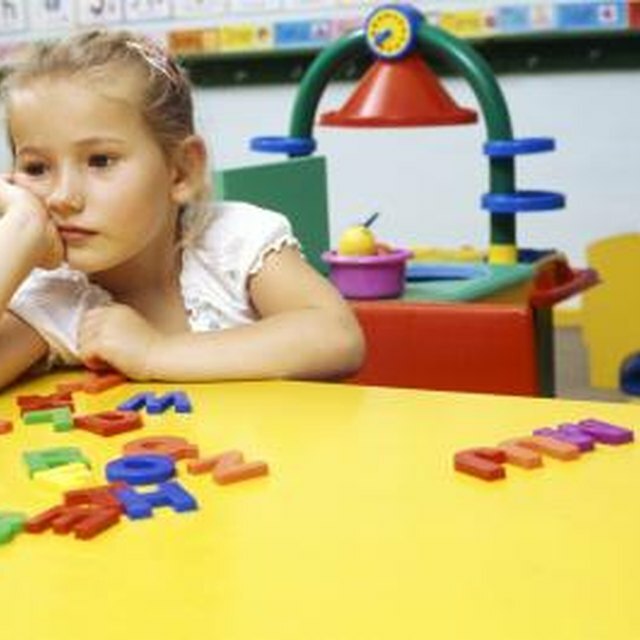 Special needs preschoolers can also learn adaptive behavior as they interact with other children. Goals and objectives in this area can include observing classroom rules, learning fairness through taking turns, and engaging in cooperative play. Nonverbal and verbal communication skills are also important for the special needs preschooler to master. Goals for higher-functioning preschoolers can include developing friendships, understanding facial expressions and social cues among other interpersonal skills. Physical development goals are also important in the overall developmental goals of a special needs child. Preschoolers with special needs can learn other essential adaptive behaviors through physical play. Physical development goals can include walking, running, jumping to develop muscular coordination and physical stamina to the extent of the preschooler's capabilities. Group play can teach the special needs preschooler to cooperate and coordinate with others. Other adaptive goals can be set for preschoolers on an individual basis. As a child progresses in his or her school years, study and organizational skills are necessary for a child's continued success. Preliminary steps for these skills can be imparted to some preschoolers. 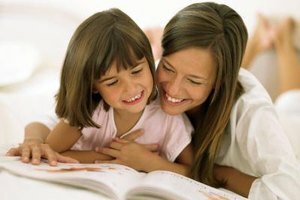 Teaching a preschooler with special needs to function as independently as possible is also crucial, as independence can give children a feeling of confidence and self worth. Kate Morgan holds a master's in English from the University of Texas, Arlington. She is a tech junkie, and has been writing professionally since 2010. Her work appears at DivineCaroline, AOL and on through the distribution of a variety of content providers, and largely focuses on the intersection of business and consumer-end technology. Morgan, Kate. "What Are Adaptive Goals & Objectives for Special Needs Preschoolers?" 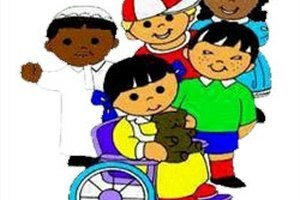 Synonym, https://classroom.synonym.com/adaptive-goals-objectives-special-needs-preschoolers-12028248.html. Accessed 25 April 2019.